Over time, furniture and other upholstery get dirty due to everyday use, no matter how clean you are. If you have kids or pets, then you know that your furniture gets even dirtier even faster. You may even have pet urine or other difficult stains on your furniture that might seem impossible to remove. Or maybe your furniture is just old and looking a little dingy. Thanks to North American Chem-Dry, your furniture doesn’t have to stay dirty, smelly, or dingy looking. 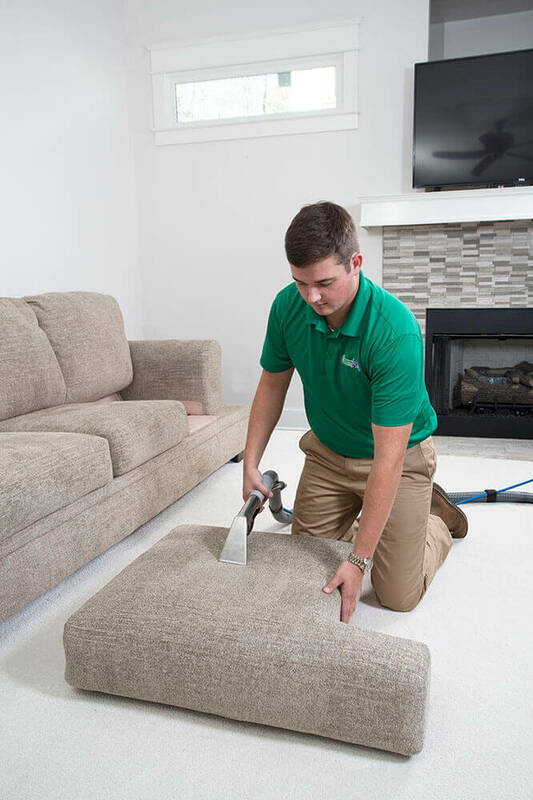 Before you consider replacing your old furniture, give North American Chem-Dry in San Francisco a chance to save it with our upholstery cleaning service. You’ll be surprised how clean we can get even the dirtiest of couches or other furniture. A good furniture cleaning can make your home seem fresh, clean, and like new, plus it cuts down on bacteria and odors in your home. Even if your furniture is in good shape, every home in San Francisco can benefit from our furniture cleaners at North American Chem-Dry! Give us a call at 415-751-3379 to schedule your upholstery cleaning in San Francisco today! The secret to North American Chem-Dry’s drier, healthier upholstery cleaning is the millions of tiny effervescent cleaning bubbles in the cleaner known as The Natural®. The carbonating solutions penetrate deep into the upholstery, literally exploding dust and dirt up to the surface. Once the contaminants are lifted to the surface, our powerful extraction equipment whisks it away to ensure a thorough clean. Chem-Dry’s safe, non-toxic solutions actually help your sofas, love seats, couches, and chairs stay as clean as when they were brand new. Steam cleaners in San Francisco just can’t compare to the superior results North American Chem-Dry can get in your furniture. 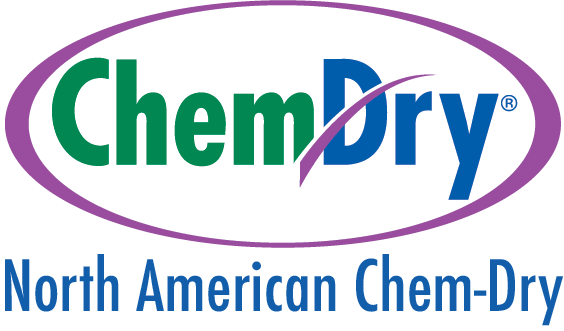 Don’t settle for less, call North American Chem-Dry today! At Chem-Dry, we’ve spent years researching and developing our state-of-the-art cleaning processes, so we know that they really work. We have years of proof in the form of clean furniture and happy customers in San Francisco. However, we wanted to know exactly how effective our Hot Carbonating Extraction (HCE) furniture cleaning process was, and we’re sure our customers were curious as well. That’s why we invited a leading independent laboratory to come and test it out. The lab concluded that Chem-Dry’s HCE process removes an average of 99.1% of common household allergens from upholstery. The allergens tested were dog and cat dander and dust mite allergen. In addition, the lab found that our HCE process, used along with a sanitizer, removes an average of 89% of the airborne bacteria in the home, improving indoor air quality. Our upholstery cleaning cleans better, it’s science! Choose the San Francisco furniture cleaners that will leave your home drier, cleaner, and healthier. One of the biggest complaints is that people have about their furniture is stains in the upholstery. Some of the most common types of stains are pet urine stains, red stains, and more. 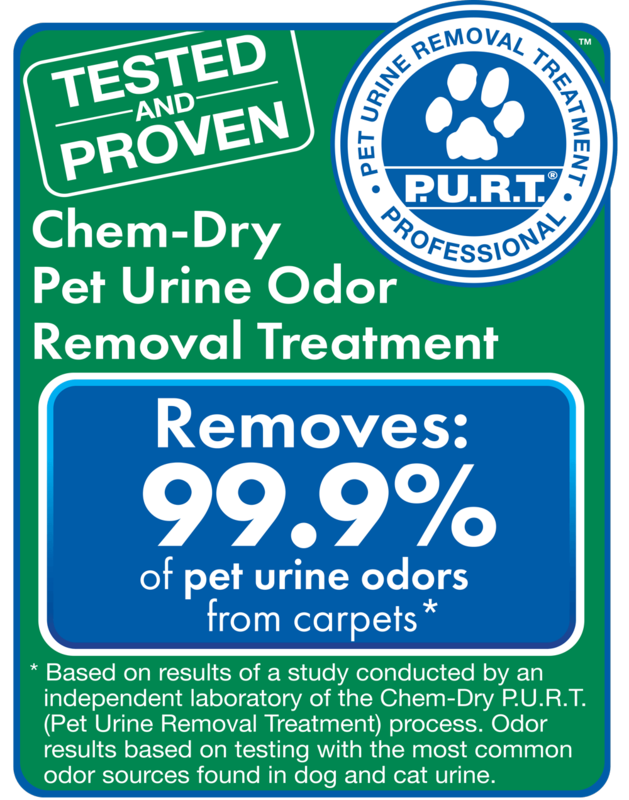 We have a specialty pet urine stain removal method that has been proven to remove virtually all trace of pet urine in upholstery, including the smell. We’re also experts at removing even the trickiest of stains, including red stains, wax, and more. If we can’t get the stain out, no one in San Francisco can! Call us today and put our upholstery stain removal to the test! We’re a locally owned business (and have been for 30 years) so we live in San Fransisco ourselves. We’ve been blessed to live in a beautiful location, and we care about our local environment and keeping it that way. That’s why we use green friendly cleaning solutions, such as The Natural, which is made of ingredients copied straight from nature and green certified. 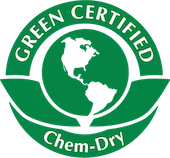 Make a responsible choice when you choose an upholstery cleaner in San Francisco and go green with North American Chem-Dry. Safe for all kinds of upholstery, from the finest natural fibers to the hardiest synthetics. Clean all types of furniture, including leather furniture. Support a local San Francisco company.